I’m going to jump straight into the review of The Taken King without a paragraph or four regurgitating the challenging first year Destiny has had. We all know the story of ‘no story’, so let’s move on. 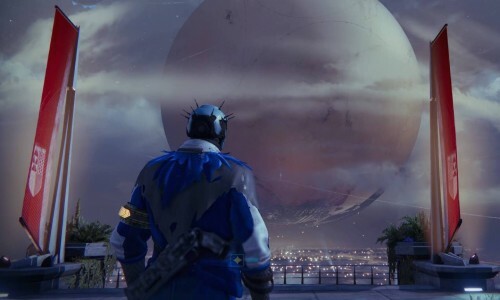 If you played in Year 1, you’ll have 5-10 minutes of running around the Tower picking up some gifts for your previous patronage then you’re ready to launch into the new story. And I’m extremely pleased to report there is story! It’s quite engaging as well, with the banter between Eris Morn and Cayde-6 particularly entertaining. As far as locations go we only get the one new one: Saturn, but the re-use of the other planets is done well enough to keep it fresh. The new vistas are as stunning as you’d expect and throwing Taken into the mix gives the new content some good variety whilst also ramping up a feeling of how hectic things are getting in the story. The main storyline revolves around taking down Crota’s dad Oryx, but once you get to the end of that there’s a bunch of other quests to do to build your reputation, skills and sub-class. Time-wise, it took me half a dozen hours maximum to get from Level 34 to 40. The game mechanics in the new Strikes are overall excellent – lots of frenetic activity is the name of the game with most. I really enjoyed the Echo Chamber strike in particular – there are some nice mechanics to keep it interesting. I haven’t gotten geared to Raid level yet, let alone that the Raid content isn’t available at time of writing, so I can’t comment there. On the PvP side of things I’ve only recently gotten into Crucible matches but from what I’ve seen of the new content it’s a worthy addition to the stable and the new modes (Mayhem and Rift) are welcome as well. Just to be as balanced as possible, there are still some annoyances with the game. There are a number of locations where you’re presented with a vast chasm to get across. If you look in a certain direction a small levitating rock ledge appears that you jump on, with the next ledge appearing. For me at least though, the next ledges didn’t appear a lot of the time, either because it was glitchy or I wasn’t looking in a very specific location. Very frustrating and unnecessary – how many players want to be playing Mario jumping in a game like this? The direction arrow on your mini-map also remains very misleading in some locations – there was one instance of me dying three times assuming I had to try and do some Mario jumping when in fact I was meant to go in the opposite direction to where the arrow was pointing. Hopefully there’ll be some incremental fixes on this stuff. Now it’s your turn: if you’re playing The Taken King, is it meeting your expectations? Just a quick update this morning now that patch notes are live. How’s that 18Gb patch? 2.0.0 – The one to prepare for Oryx. This update begins Destiny Year Two. It contains sweeping changes that will impact the way we all play. Prepare for the arrival of The Taken King. 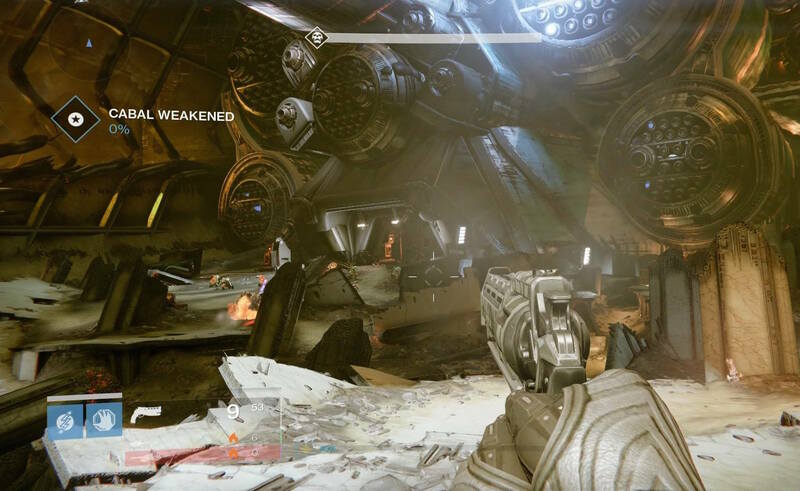 Read our detailed review of weapon change philosophies. We have revisted all of these Year One stat perks and reduced the amount they buff your weapon stat to re-normalize against Year Two weapon lethality and reinforce specialization so players are making meaningful trade-offs on weapons. To compensate for the weaker stat perks from launch weapons, we added some new stat perks (introduced in House of Wolves) that provided a significant increase to a stat in exchange for a reduction in other stats. This allows players to be able to spike a stat that reinforces their specialized play style, but at a cost. Smooth Ballistics: Stability bonus made into penalty. Range penalty is now a bonus. 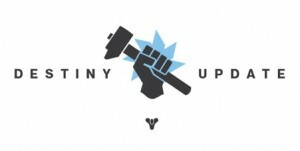 Soft Launch: Stability bonus made into penalty. Projectile speed penalty is now a bonus. Players now are required to participate in the boss fights to be eligible for end-of-activity loot. Burn (Arc, Void, Solar) Skulls now only increases player damage by 2x (down from 3x). Combatant damage to player is unchanged at 3x. When the Mercy Rule hits, Shaxx will call out the end of the match. We immediately disable join in progress to prevent any additional players from joining the game (if anyone has dropped already) and reset the game clock to 10 seconds. After those 10 seconds, the match will end normally. All players will receive their end of match rewards and return to matchmaking. There are more changes scheduled to take effect with the official launch of Destiny: The Taken King. Final patch notes will be published at 2AM Pacific on September 15th, 2015.